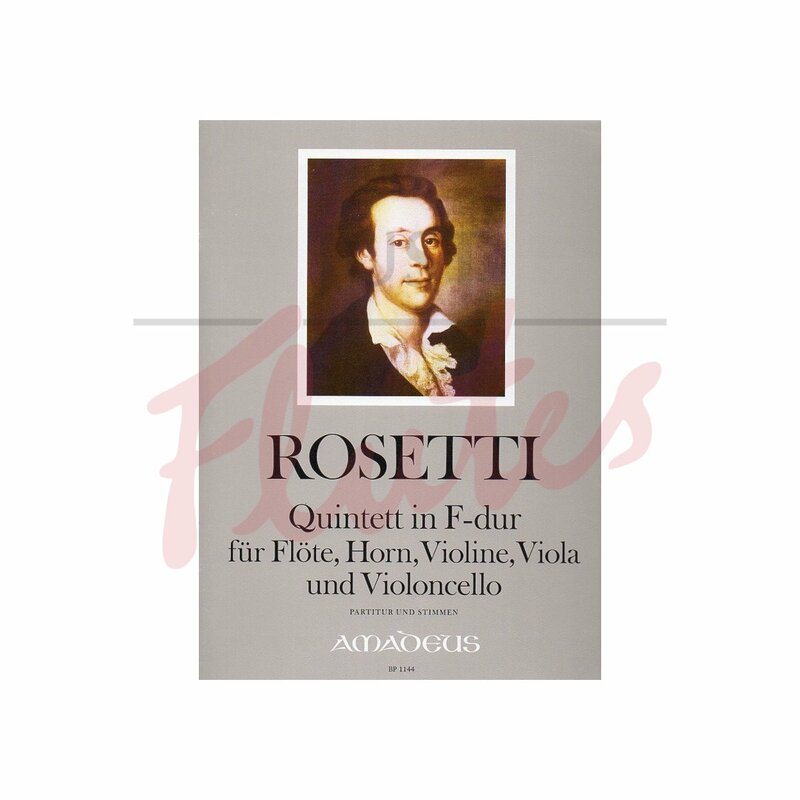 This Quintett is written for the unusual combination of flute, horn, violin, viola and cello. 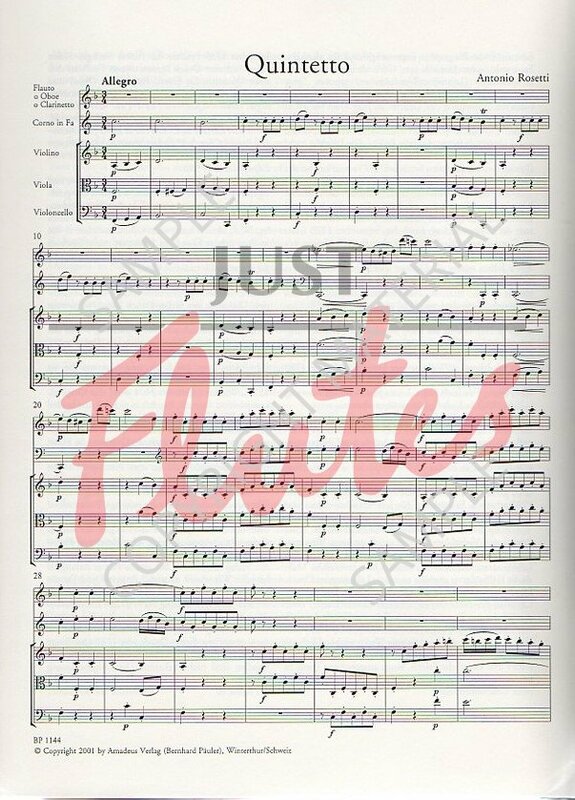 Rosetti was a 17th century court composer and this piece is his own arrangement of a wind quintet. 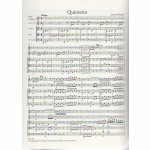 It is a nicely poised type of work with lots of tunes, no big harmonic surprises and little rhythmic complexity but it enjoys a wonderfully sunny disposition. A gem.